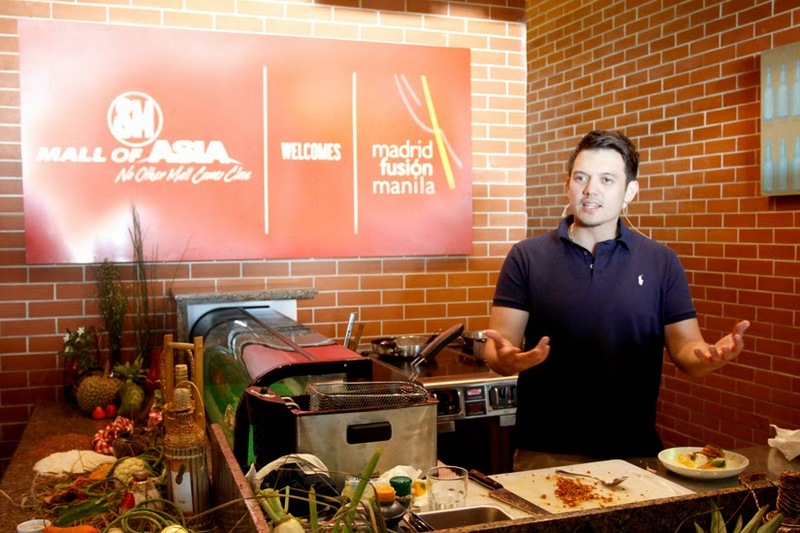 Manila, Philippines- SM, the host to the first Madrid Fusion Manila, held a cuisine demonstration at Sarsa Kitchen + Bar, Mall of Asia last April 16, 2015. Chef Bruce Ricketts, Chef Rob Pengson and Chef Claude Tayag, the Philippines’ finest representatives to the Madrid Fusion Manila Congress showcased their mastery in cooking, with a special participation of Chef JP Anglo. Madrid Fusion Manila is happening on April 24-26, 2015 at the SMX Convention Center in Pasay City. SM, in partnership with Department of Tourism and Madrid Fusion Manila, provides a platform to expand ideas and experiences in strengthening culinary innovation. 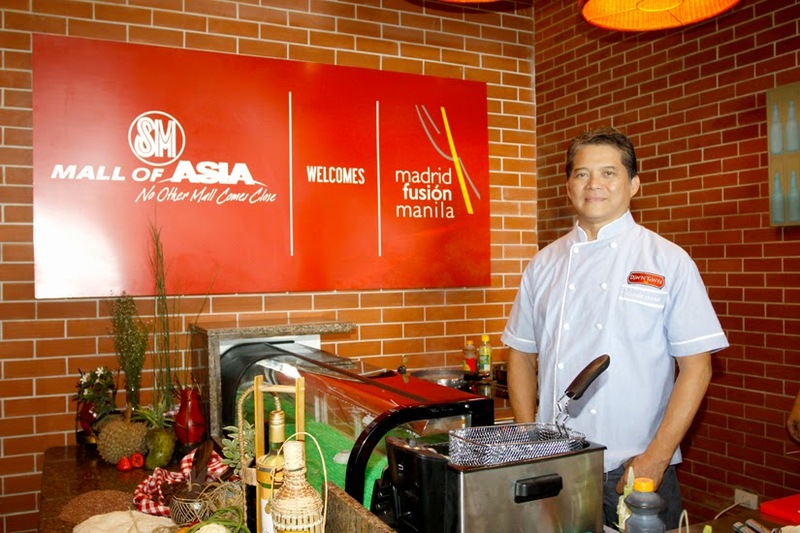 SM has the vital tasks of bringing the richness of our culinary heritage to a global audience in Madrid Fusion Manila and to share this great celebration to our fellow Filipinos through festive activities in SM Malls nationwide. Known to be one of the youngest chefs in Manila, Chef Bruce used his experiences from famous restaurants in California to prove that age has nothing to do with success. Chef Bruce studied Culinary Management at the Art Institute of San Diego. It was his mentor Jason Knibb who made him understand ingredients and changed the way he looked at food. Rob Pengson is a rebel of sorts. And this fact is apparent in the food he serves at The Goose Station, the restaurant he has built together with his wife Sunshine. The restaurant, regarded as the first tasting menu focused establishment in the metro, is known for its inventive, thought-provoking, even groundbreaking cuisine that challenges traditional cuisine by ignoring dogma and infusing culture and heritage into cooking. Self-taught culinary savant, Claude Tayag is known to have uplifted Pampango/Kapampangan cuisine through Bale Dutung (Wooden House), his abode turned into a by-reservation-only restaurant serving traditional Pampango cuisine. Spicing up Chef Claude’s culinary career is his passion to preserve the diversity of the Filipino cuisines which he showcased at the Peabody Hotel’s Chez Philippe Restaurant in Memphis, Tennessee, USA, when he was invited to serve his special selection of Filipino cuisine at the Memphis in May Festival 2012. 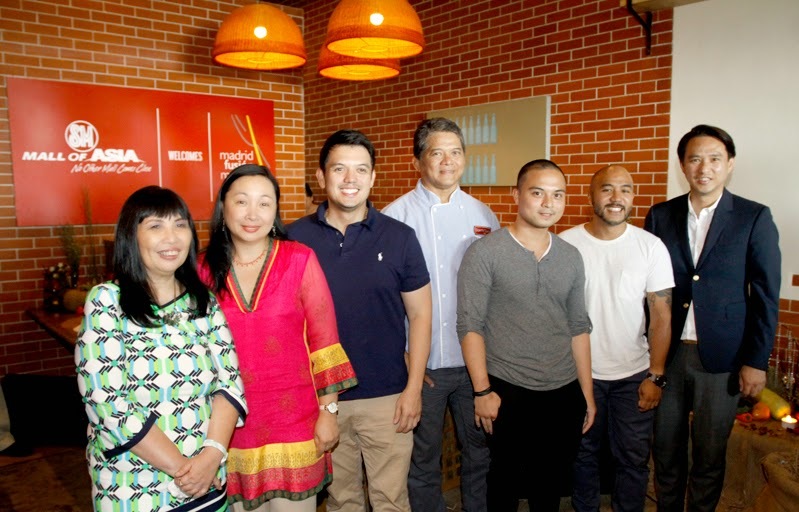 Highlighting the best in food, art and culture of the Philippines, these chefs shared to the guests the delectable dishes that are proudly Filipino. With their artful skill in creating wonderful meals, it is such a delight to know that the Philippines has so much excellence to offer in the culinary world. Madrid Fusion Manila is the first culinary festival with Spain and Asia’s legendary chefs Andoni Luis Aduriz, Elena Arzak, Quique Dacosta, Ramón Freixa, Francis Paniego, Paco Roncero, Mario Sandoval, Paco Torreblanca, André Chiang, and Alvin Leung. Presenting the Philippines’ own diverse and imaginative epicurean traditions are chefs Fernando Aracama, Margarita Forés, J Gamboa, José Luis “Chele" Gonzalez, Pepe Lopez, Rob Pengson, Bruce Ricketts, Myrna Dizon, Claude Tayag, and Juan Carlos de Terry. New food concepts that reflect culinary innovation and technique will be available only this April at select SM Mall of Asia restaurants where special dishes with Spanish influence or cooked with the finest local produce, ingredients and flavors are sure to bring out your inner foodie. 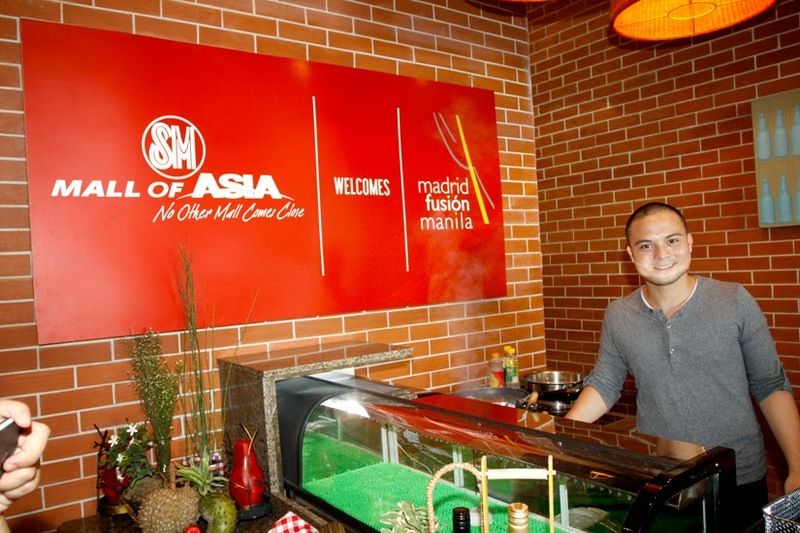 Savory goodness awaits mall-goers of SM Aura Premier, which shall host its own Spanish-themed fiesta with music, dancing, food and drinks on April 19 at the Sky Park lawn. While on April 24 to 26, irresistible dining deals await all food lovers at SM Megamall’s flagship and first-in-the-country dining destinations and the newly-opened Mega Food Hall.